Spinning reels are perhaps the most common type of reel used by anglers, especially when going after small to medium-sized fish. The signature construction of a spinning reel is that the reels have a fixed spool which rests underneath the rod, and the line is pulled out by the weight of the lure, bait, or tackle. 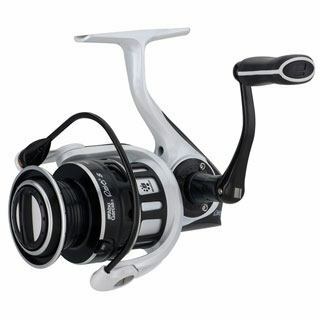 Spinning reels are one of the most versatile reel models, which certainly accounts for their widespread appeal. Part of their versatility certainly lies within their ease of use. When compared to a baitcasting reel, proper use of a spinning reel does not need extensive time and practice to perfect. The mechanics are much simpler, but their performance is still high-quality. Their versatility also comes from a range of uses. Not only are they suited for bass fishing and angling, but they can be utilized with a variety of tackle options, including live bait and artificial lures. With a nearly endless array of spinning reels to choose from, it can be difficult to pinpoint which reel is the best choice for you. 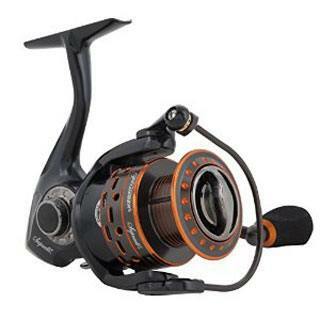 One of the best tools to use when looking for spinning reels is to take an in-depth look at the reel models that have been attracting praise from users and experts. 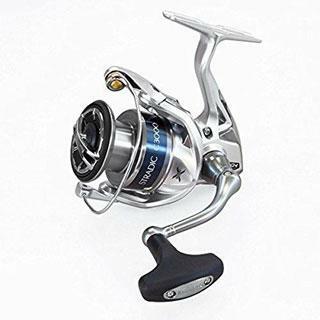 In order to help determine what spinning reel is the best choice for you, we have compiled a comprehensive list of the top-rated reels that are currently on the market today. Each one of the reels highlighted here has received exceptionally high levels of praise for their construction, durability, and performance. By looking at the 5 best spinning reels, any angler will be well-equipped to finding the best reel for their fishing needs. Pflueger has made some critical updates to their President spinning reel series, and the improvements have not gone unnoticed. 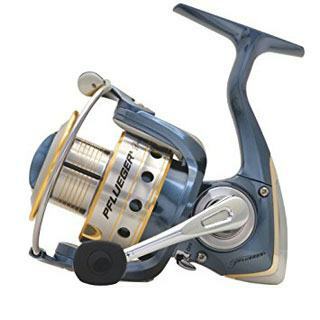 In fact, these improvements have made the Pflueger President model one of the top rated and top selling reel models available today. The nine stainless steel ball bearings offer impressive strength and internal durability, ensuring that the reel can withstand pressure from even the strongest and toughest fish. While spinning reels typically tend to cater to smaller or medium-sized fish, this reel is certainly capable of withstanding heavier loads. Customers rave about the smooth, efficient drag system. The instant anti-reverse ensures that fish stay hooked, and adds to the overall efficiency of the reel. Additionally, at a surprising 5.9 ounces, the Pflueger President spinning reel manages to combine durability with comfort effortlessly. Anglers will find that the lightweight quality of the reel makes it easier to spend extended hours out on the water, making this model an incredibly worthwhile reel to own. This model introduces a brand new technological concept employed by Shimano, called Hagane. This term refers to the high-quality steel used to manufacture Samurai swords. The Shimano Stradic HG model is made entirely out of this high-quality metal. From the body of the reel to the internal components, this model utilizes the Hagane concept to increase the strength and efficiency of the reel. When dealing with additional pressure from weight, the X-Ship gearing performs incredibly well. This gearing configuration provides a smooth transfer of pressure, keeping gears working at high levels. The result is a stronger, smoother operation. It also preserves gear function, which promises to contribute towards long-term use. Fishermen love the smooth drag, an undeniable feature of any Shimano reels. In fact, as one of the newest models, the Shimano Stradic HG is also lauded as being one of the best spinning reels currently available. Right behind the Pflueger President model is the Supreme XT. In fact, most customer reviews state that both models are crucial tools for any angler to have. With an impressive ten ball bearings system, the Supreme XT promises enhanced power and control in any angling environment. What sets the Supreme XT apart is the incredible combination of durability and lightweight components. The combination of magnesium and carbon offer enhanced rigidity and strength without sacrificing its lightweight quality. In fact, the carbon components make the reel up to 21% lighter than reels made with aluminum. As an additional benefit, the drag system is completely sealed and lubricated, meaning that the reel will continue spinning even through wet conditions. 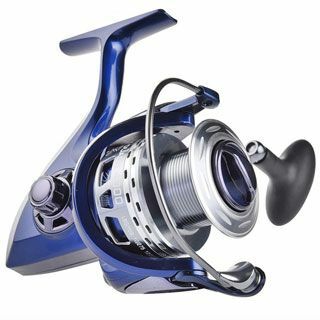 Overall, the Pflueger Supreme XT offers a very high level of value for the price, making it one of the best spinning reels to invest in. It’s difficult to succinctly describe what makes the Abu Garcia Revo S such a great spinning reel model. In truth, Abu Garcia has a long history of manufacturing high-quality reels, so it is not surprising that one of their models would make it to the top-rated list. Their patented Carbon Matrix drag system and their HPCR (High Performance, Corrosion Resistant) ball bearings both work together to enhance performance and reliability. The Carbon Matrix drag system ensures smooth and strong drag performance. The seven HPCR ball bearings are incredibly durable, and work to improve overall strength and reliability of the reel itself.The compact and lightweight design of the Revo S also contributes to high reviews. The lightweight graphite rotor, combined with the C6 carbon body, provides impressive durability in an altogether lightweight form. Anglers rave about the ability to comfortably hold the Revo S for long periods of time, especially with the ergonomic handle. KastKing is widely recognized for producing high-quality reels at low prices, and the Triton model is certainly no different. It's ten stainless steel bearings system offers precise rotation and increased endurance under pressure. Because the bearings are completely shielded, the reel is fully protected against outdoor elements, making the KastKing Triton suitable for both freshwater and saltwater environments. The graphite frame naturally resists corrosion, adding to its versatility in all fishing situations. The KastKing Power Launch spool design provides longer, more accurate casting. As an additional benefit, this spool design helps prevent troublesome tangling while casting. The double bearing support system ensures that the shaft stays aligned and adequately supported, increasing power and performance while bringing in heavy weight. For those looking for high performance in a spinning reel without draining their wallet, the KastKing Triton model is the perfect fit. Weight is important, as heavier reels can result in joint pain, increasing stress to the wrist and the forearm. For fishermen who like to spend longer periods of time on the water, stress and fatigue can be huge factors in their fishing performance. Lighter reels will decrease joint pain due to heavy or bulky reels. The reel body should also be durable. Finding a durable reel body without sacrificing lightweight construction is important. While aluminum is stronger, graphite is much lighter. A combination of the two might be your best bet when looking for improved weight and durability. The gear ratios for spinning reels are much different than with baitcasting reels. For spinning reels, the spool itself is fixed and does not revolve. Instead, a bail will wrap the line along the spool as the handle is turned. As a result, the gear ratio describes the number of times the bail wraps along the spool on each turn of the handle. A low, medium, or high-speed retrieve (gear ratio) depends largely upon what type of fishing you are planning to. For versatility, the best gear ratio might be a middle speed, typically considered as a gear ratio of 5:1. Still, depending on whether torque is necessary or speed is important, the gear ratio of a spinning reel will play a huge factor. The drag system determines the application of pressure onto a hooked fish, and for that reason, having a good drag system is crucial when using spinning reels. Without a smooth, steady drag system, lines can break, and fish can escape. There are two types of drag systems that a spinning reel might have: front drag and rear drag. Front drag systems typically have enhanced durability and performance when compared to rear drag. The benefit to rear drag systems, however, is that the controls are much easier to access, so they may be easier to manipulate. Depending on what type of control you need, it is important to ensure that your spinning reel comes with the right drag system. It is hard to deny the inherent value and versatility that comes with spinning reels. Their design is advanced enough to encourage advanced techniques and finesse, yet simple enough for beginning anglers to quickly master. Many anglers consider a spinning reel to be a crucial part of fishing—not only are they easy to cast, but they rarely result in tangles or backlashes. When looking for the best spinning reels, examining the top-rated reels can provide important insight and guidance. By considering the characteristics of the top-rated spinning reels that are currently on the market, any angler will find themselves well prepared to identify the best reel for them.